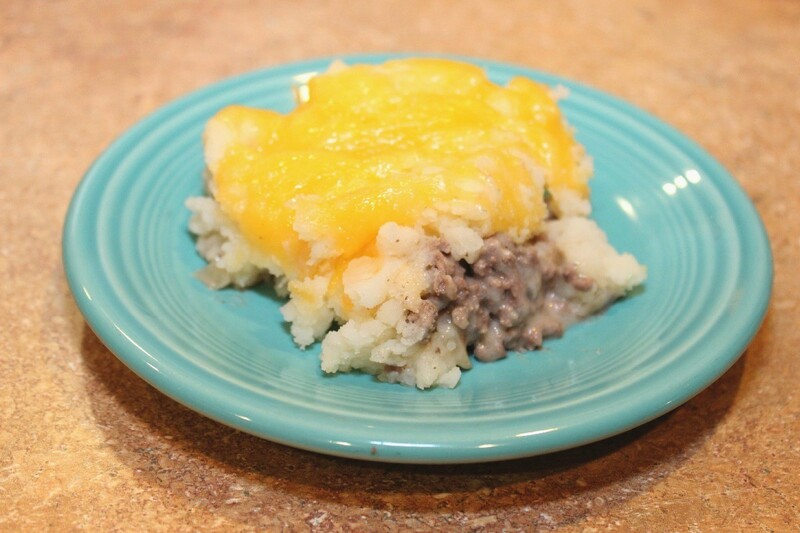 Hamburger potato casseroles can be made with so many additions you will never need to serve the same one too often. 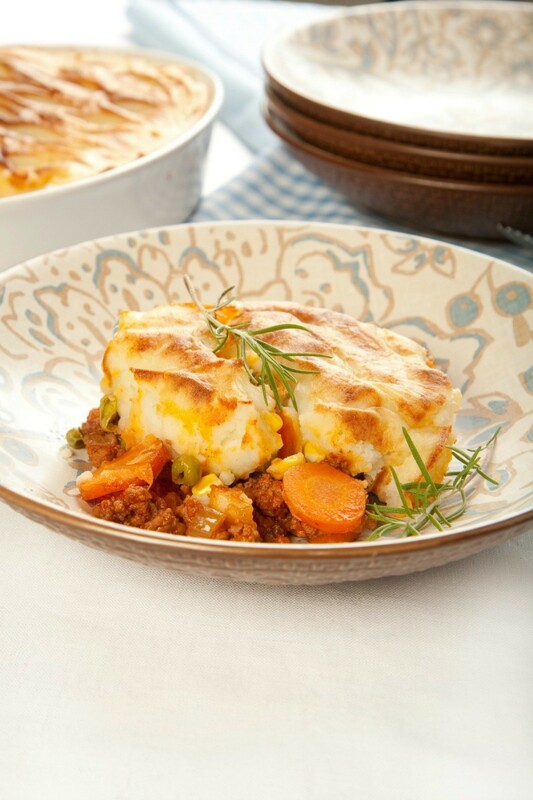 This page contains hamburger potato casserole recipes. This is a delicious and cheap meal. This video shows you the easy steps to making this dish. Preheat oven to 350 degrees F. Grease a 9x13 inch baking dish. Brown hamburger and drain. Layer hamburger in dish. Add potatoes to 1 1/2 cups of cooked rice. Layer in dish. Mix green pepper, onions and then layer. Add 1 cup of water to soup and pour over the top. Bake for 1 hour. Brown hamburger and drain. Put in bottom of 9x9 inch pan. Spread mushroom soup over hamburger layer with cheese, cover with the dried onions. Layer tater tots over entire casserole. Bake at 350 degrees F until tater tots are golden brown and cheese is melted, about 45 minutes to 1 hour. Put raw meat into bottom of ungreased pan (a 9x13 inch glass pan is what I use.) Put sauteed onion on next. Spread the mushroom soup on top. Sprinkle a layer of cheese. Then place a layer of tater tots on top (end to end). Lastly, place the rest of the cheese on top. Baked uncovered at 350 degrees F for one hour. Brown hamburger and onions. Add a dash of salt and pepper. Drain. Mix soups and hamburger and place in a large roaster. Place potatoes on top of hamburger. Mix sour cream and Ranch dressing. Spread evenly over potatoes. Bake at 325 degrees F for 45 minutes or until heated through. Sprinkle cheese and bacon on top. Bake until cheese melts. Pepperoni may be place on top instead of bacon. Preheat oven to 350 degrees F. Brown hamburger in skillet, stirring until crumbly; drain. Spoon into 9x13 inch baking pan. Pour mixture of soups over hamburger. Brown hamburger and onion. Drain. Grease a 2 qt. casserole dish. Layer 1/3 of potatoes in bottom; sprinkle with 1/3 of flour and pepper lightly. Brown meat, onion, salt, and pepper in skillet. Heat soup diluted with 1/2 can of milk. In a casserole pan, alternate layers of potatoes, carrots, and meat. Cover with a layer of soup. This is a guide about mashed potato and hamburger casserole. Casseroles topped with mashed potatoes are almost infinitely variable, with a simple change of ingredients. This is a good way to use leftovers. Cheeseburger and fries all in one dish. Brown the meat in a large skillet, drain. Stir in the 2 cans of cheddar cheese soup. Arrange fries on top of the meat and cheese. Bake at 400 degrees F for 1 hour. If you use a large skillet with a wooden handle, cover the handle with foil before putting it into the oven. You can use a baking dish but why dirty another dish? Fast, easy, good and, of course, comes from Grandma! Cook and drain grease off hamburger. Put cooked ground beef in bottom of casserole dish. Take can of drained green beans and mix in bowl with can of tomato soup, yes mix soup and green beans right out of can. Don't add water or heat up, just dump both cans and mix. Take that mixture and layer on top of hamburger. Next take mashed potatoes and layer on top of green bean mixture. Cover and reheat in an oven at 350 degrees F, for approx 30 minutes, or until bubbly. I would always make this after a night where we had mashed potatoes, I would use the left overs. Instant also works just fine. You can add cheese or bacon bits to top of mashed potatoes. Use your imagination. This tastes great and will feed at least 5, and has all your food groups, except the desert one. Source: All I know is that my Grandma made this a lot, don't know if it is a copy or not. Peel and slice potatoes and one of the onions. Cook in just enough water to cover. Cook 7 minutes. Pour into casserole. Brown the hamburger and onion in a skillet and add to the potatoes. Pour cream of mushroom soup over and mix thoroughly. Bake at 400 degrees F for 1 hour. Spread uncooked hamburger in bottom of casserole baking dish. Peel and slice potatoes over meat, mixing in onions. Cover with soup; cover and bake at 300-325 degrees F for approximately 1 1/2 hours.